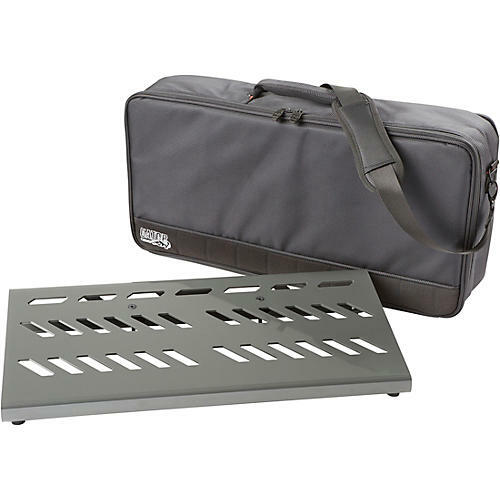 Generously sized pedal board with intelligent organization design. This large aluminum pedal board features a universal mounting bracket to let you mount your power supplies beneath the board itself and keep your pedals at a very accessible angle while adjustable no-slip rubber feet keep your board in place. Included adhesive Velcro strips keep your pedals secure where you need them while perforations allow you to easily and conveniently route your cables. When you are on the move, an included deluxe carry bag is made to fit it perfectly. It has a basalt grey finish.